To sing a melodic line on a single vowel highlights many technical difficulties, such as producing a legato line, making a smooth register change and even intonation. For the past 250 years, vocalises have therefore beeen an important tool for singing instructors, who at first would use existing songs published without a text. In the nineteenth century specific studies were developed, but these tended to become monotonous scalar exercises, and in 1906 Amédée-Landély Hettich, a voice professor at the Paris Conservatoire, made it his goal to raise the vocalise from a dull practice tool to a work of art in its own right. 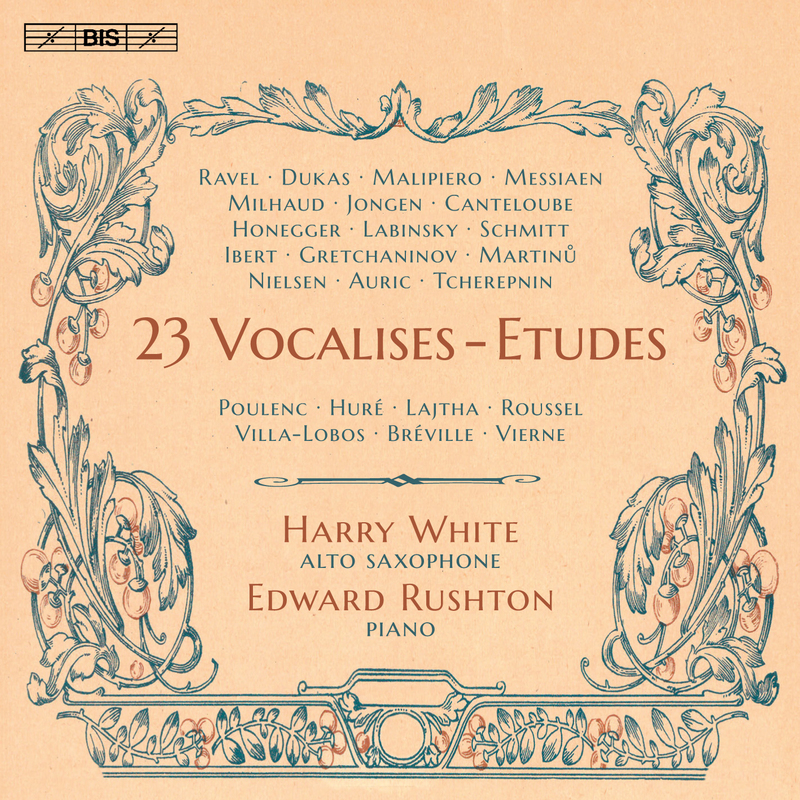 Over a period of thirty years, he persuaded an impressive list of composers to write vocalises, and 150 of these were published by Éditions Alphonse Leduc in the series Répertoire Moderne de Vocalises-Études. Several of the vocalises commissioned by Hettich have become popular in instrumental versions – the prime example is that by Ravel 'en forme de Habanera', which the composer himself transcribed for the cello, and which has since entered the repertoire of a large number of instruments. 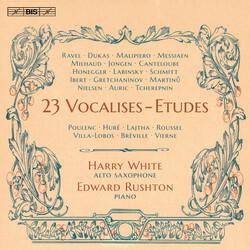 Finding his own instrument, with its flexible, voice-like timbre, ideal for the varied musical characters represented in Hettich’s collection, the saxophonist Harry White here presents a selection of 23 vocalises by composers as diverse as Fauré, Carl Nielsen, Messiaen and Villa-Lobos. A former member of the acclaimed Raschèr Saxophone Quartet, Harry White is an eager recitalist and regularly includes a set of vocalises in the programmes he performs with his regular partner at the piano, Edward Rushton.